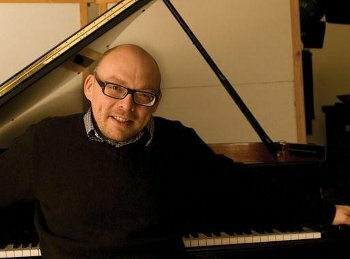 Bugge Wesseltoft to norweski muzyk jazzowy, pianista i kompozytor, producent muzyczny a także założyciel wytwórni płytowej Jazzland Recordings. Jeszcze będąc w szkole sredniej Bugge grał w szkolnych zespołach a muzykiem zawodowym został zaraz po ukończeniu szkoły. zakończeprofesjonalnie w szkole After high school in Skien, were he was involved in the school brass band and dance orchestras, Bugge Wesseltoft became a professional musician in 1983 only 19 years old. By the age of 16, he joined a punk rock band, but the influence of the jazz guitarist father, stalked on him. After moving to his father in Oslo (1984), it was for the most music with roots in jazz that mattered, although he also was utilized as a performer and producer by the pop and rock elite in Norway. He had originally intended to attend musical studies, but the gigs were too many, and therefore he never got any further formal musical education. Towards the end of the 1980s Bugge Wesseltoft was involved in a variety of pop, rock and jazz bands like the «U and Z», «Et Cetera» and most important the Oslo Groove Company, and he was recognised as a coming musical genius with a great talent for the piano. This led to collaborations within the Knut Riisnæs Quartet in 1989, and he was soon after contacted by Arild Andersen to join in on the commissioned work for Vossajazz released on the album Sagn (1990) and the follow up Arv (1993), and Jan Garbarek for his Molde Canticle (1990), a commission from the Moldejazz, released on the album I Took Up the Runes (1990).